Google is a data-obsessed company, but the recent cascade of employee activism can be hard to quantify. How do you take the temperature of a 90,000-person workforce? In November, employees gave Google’s senior leadership an undeniable signal, when 20,000 workers walked out of their offices to protest sexual harassment policies. The results of Google’s latest annual survey on employee satisfaction, which were internally shared in January, offer another sign. 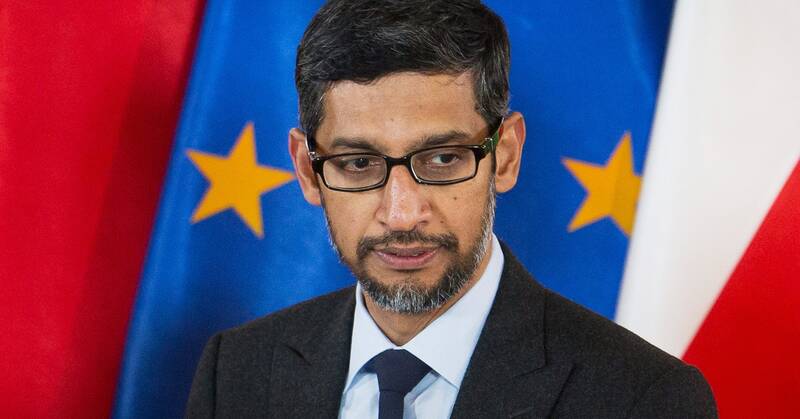 Asked whether they have confidence in CEO Sundar Pichai and his management team to “effectively lead in the future,” 74 percent of employees responded “positive,” as opposed to “neutral” or “negative” in late 2018, down from 92 percent “positive” the year before. The 18-point drop left employee confidence at its lowest point in at least six years. The results of the survey, known internally as Googlegeist, also showed a decline in employees’ satisfaction with their compensation, with 54 percent saying they were satisfied, compared with 64 percent the prior year. The drop in employee sentiment helps explain why internal debate around compensation, pay equity, and trust in executives heated up in recent weeks—and why an HR presentation from 2016, went viral inside the company three years later. The presentation, first reported by Bloomberg and reviewed by WIRED, dates from July 2016, about a year after Google started an internal effort to curb spending. In the slide deck, Google’s human-resources department presents potential ways to cut the company’s $20 billion compensation budget. Ideas include: promoting fewer people, hiring proportionately more low-level employees, and conducting an audit to make sure Google is paying benefits “(only) for the right people.” In some cases, HR suggested ways to implement changes while drawing little attention, or how to sell the change to Google employees. Some of the suggestions were implemented, like eliminating the annual employee holiday gift; most were not. Another, more radical proposal floated inside the company around the same time didn’t appear in the deck. That suggested converting some full-time employees to contractors, to save money. A person familiar with the situation said that proposal was not implemented. In July, Bloomberg reported that, for the first time, more than 50 percent of Google’s workforce were temps, contractors, and vendors. The 2016 presentation, which began circulating inside Google in mid-January, might not have made such an impact with workers if not for executive comments at a company-wide meeting a few days earlier that some employees considered tone deaf. The meeting was to discuss the Googlegeist results, where managers attempted to put a positive spin on the decline in confidence. Prasad Setty, Google’s vice president of people operations, told the room that dissatisfaction around compensation came from employees who didn’t get promoted and don’t understand how compensation at Google works, according to people familiar with the matter. The meeting sparked angry commentary about executives on Google’s internal message board for memes, according to employees. Some workers found management’s approach patronizing. One Google employee was frustrated with management’s evasiveness, but wondered if the employee backlash stemmed from the fact that executives were trying to explain individual compensation practices,, when activist employees wanted answers on demands for pay equity for contractors, women, and others, first raised during the November walkout. At another company-wide meeting a few days later to discuss compensation, Pichai and Setty sought to apologize about the memo and take a more candid approach with employees. Pichai said the document had never crossed his desk and that he would have rejected the suggestion about promotions if it had. Following the meeting, employees thanked Pichai for appearing and praised his candor on the internal meme message board. The disclosure about contractors also rankled. Popular perception, even within Google, is that contractors are hired for service or non-technical roles. But inside Alphabet, Google’s parent company, contractors work as engineers, recruiters, and even manage teams, Bloomberg reported. Anna, a contractor in Mountain View who requested to only use her first name, told WIRED that she doesn’t fit the image Google would like to project. She acts as a liaison between Google and outside vendors and says she is “paid really well.” Still, she does not have access to healthcare benefits or time off and she can’t attend parties for launches that she helped prepare. Perry, who conducted user research for Google in Seattle until his contract ended last week, said that managers may not know how much money contract workers are taking home.